Been a while since I posted anything. I finally got this DBA army finished last night. 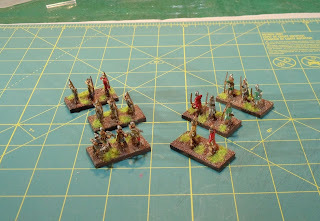 This army is a DBA 3.0 Feudal English (IV/23) army with all the trimmings. 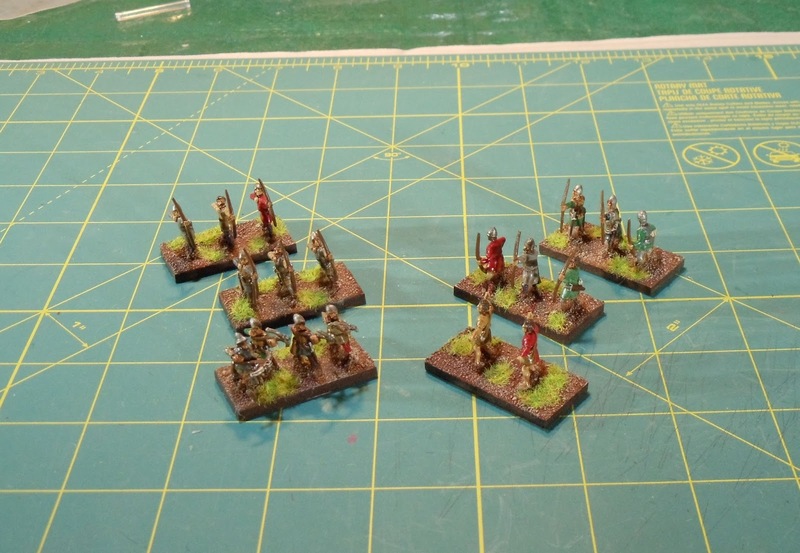 Figures are all 15mm Essex. 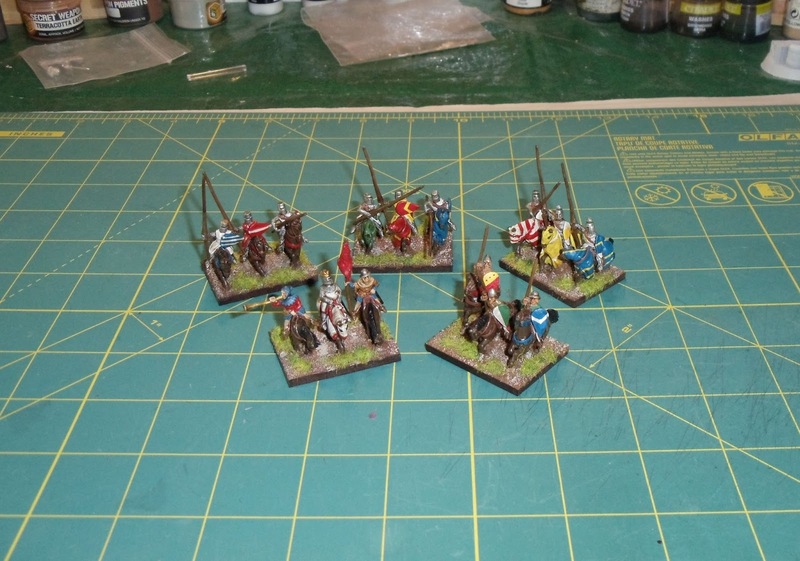 First up is the cavalry: General, 3 bases of Knights and 1 Cavalry base. 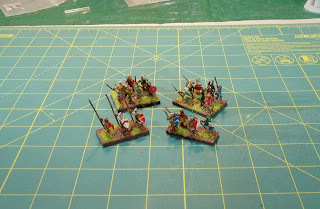 Next up is the stabby bits: 2 units of Horde, a unit of Spear and a unit of Pike. 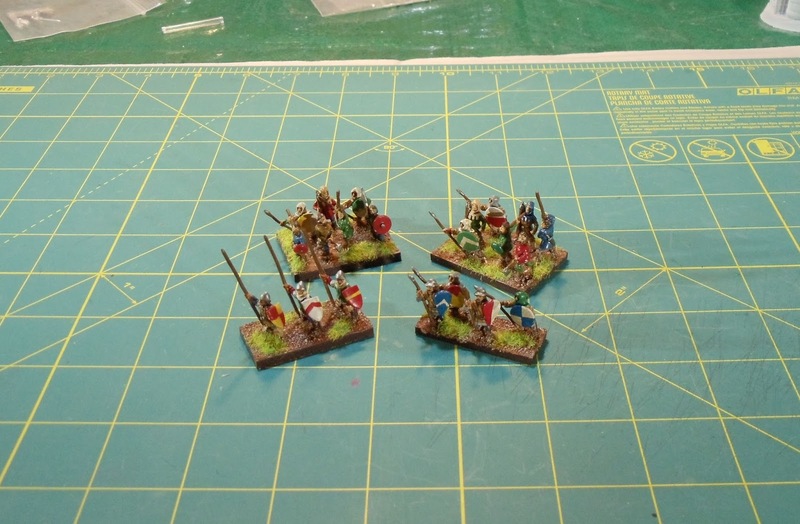 Finally is the shooty bits: 2 units of Bow, 2 units of Longbow, a Crossbow base and a lone unit of Psiloi slingers. 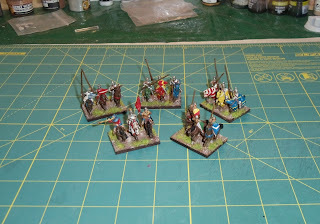 I hate DBA, so I intend some time in the very near future to Ebay this army and donate the funds to the club. Next up on my paint table is some 28mm pulp sci-fi Galacteer figures I picked up for the release of Retro Raygun. They're almost finished so after them will be a number of Robot Legion figures.